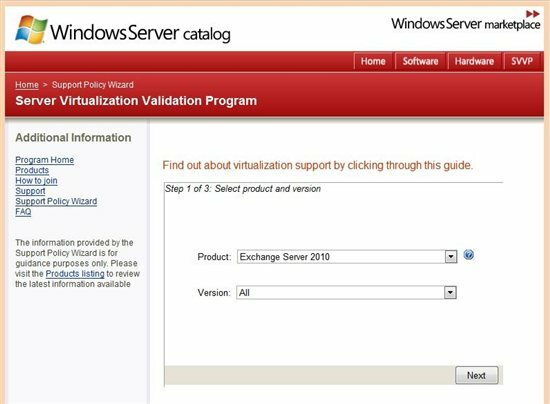 During the planning process of a virtual environment is very common to get up the possibilities for any particular solution , for example , the version of Exchange server that runs on Hyper -V, or even if it is possible to use another solution virtualization in this case . This information is very important for a product or virtualized server, taking into consideration the support of the environment by Microsoft . Sometimes it is possible to install a specific server in a virtual solution, but there is not always support such a scenario. 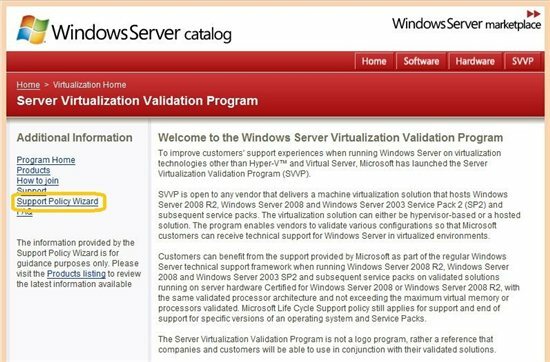 you can specify the desired configuration of a Microsoft product running in a virtual environment and have proof of support and / or any notice required. On the homepage, in the top left there is the option Support Policy Wizard, as Figure 1. The process is simple, consisting only three steps. At first, you must choose your product and version to be used in the virtualized environment. The list contains all Microsoft products and their versions. After choosing from the available options, click Next. 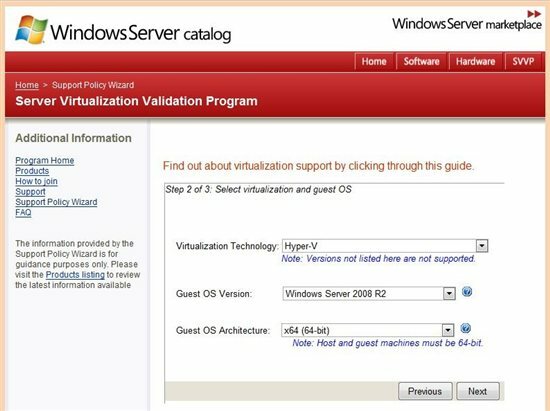 In step 2 you must set the virtualization solution, the host operating system and the virtual machine operating system. After choosing the desired options, click Next , as is shown in Figure 3 .
links to selected products and some observations. In the example used there is some additional information about Exchange 2010. The Unified Messaging role and use of dynamic virtual disks are not supported for this scenario. 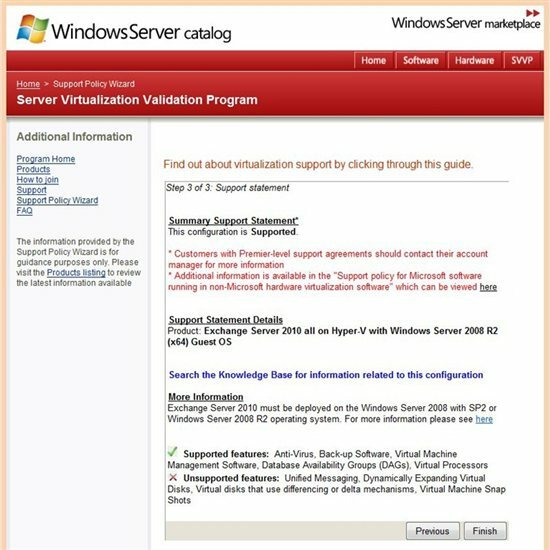 Being an official result is possible to use them to prove during the planning process the support for any Microsoft product being used in virtual environments.